What is meant by “bipolar behavior”? How do the internal symptoms of bipolar disorder get “acted out”? 2.The bipolar “signs” that are observable to others, that is, the bipolar person’s behavior – how they act out their bipolar disorder. 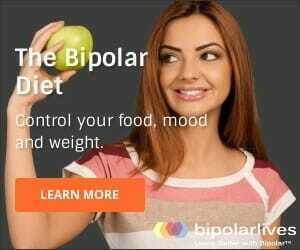 Although bipolar disorder is all about mood swings – the extremes of depression and mania – it is much more than an internal experience of mood swings and overwhelming feelings. during episodes of mania and depression are manifested in actions – externally visible behavior. Bipolar behavior is a critical element of correctly diagnosing bipolar disorder. Bipolar disorder behavior WILL BE DIFFERENT FROM THE PERSON’S NORMAL OR USUAL BEHAVIOR. any family history of bipolar disorder. HOWEVER, CERTAIN BEHAVIOR MUST ALSO BE PRESENT FOR A DIAGNOSIS OF BIPOLAR I. 1. Decreased need for sleep, for example only sleeping 3 hours a night. 3. A noticeable increase in goal-directed activity, for example starting new projects at home or work. 4. 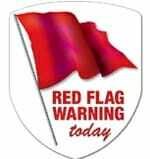 Excessive levels of involvement in pleasurable but risky activities such as spending sprees, sexual promiscuity or infidelity, or reckless investments or business ventures. In addition, these bipolar signs (behaviors) must have serious adverse consequences such as causing problems at work, in personal relationships, or disruptions in normal social activities, OR hospitalization to prevent harm to self or others. Despite these clear “official” diagnostic indications, there is a lot of confusion about what constitutes bipolar behavior. Today it is very common for the media and for individuals to label any action they regard as eccentric or annoying as “bipolar”. 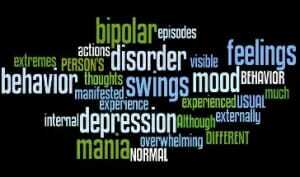 Bipolar disorder is a clinical condition with medical diagnostic criteria. Bipolar” is NOT a synonym for obnoxious, annoying, awful, disagreeable, mean, nasty, objectionable, or unpleasant. Further, “bipolar” is NOT a synonym for erratic, unpredictable, abnormal, bizarre, eccentric, inconsistent, peculiar, unreliable, or weird. The constant use of the word “bipolar” as cultural shorthand for anything we find strange or objectionable is foolish and destructive. People with bipolar disorder often do things that have negative consequences for themselves and others. But there is an upside! Without the behavior, bipolar symptoms of mood alone would be far more difficult to diagnose and manage. How can “bad” behavior ever be a good thing? 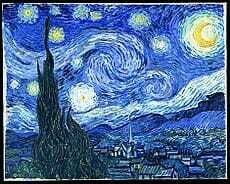 It is both good and useful because it makes the internal and subjective experience of bipolar symptoms objective, observable, and externalized. This is very important for arriving at an accurate diagnosis. My own diagnosis (very late in life in my mid-forties) finally happened this way. My psychiatrist was treating me for depression and we had tried some medications that were making me worse instead of better. When I casually mentioned to her some shopping I had done (over $5,000 on Italian designer furniture for a very down-market, temporary grad student apartment when I was making no money), there was an aha moment. These sort of irrational spending sprees are classic bipolar behavior. I had been unable to adequately describe my thoughts and feelings, but this allowed my psychiatrist to ask me about other activities. It was a conversation that changed – and saved – my life. Further, if you and your loved ones know the behaviors that indicate you are entering an episode of mania or depression, it is possible to intervene before any damage is done. This can result in a positive spiral. Fewer episodes and relapses improves coping skills and brain health, just as more frequent episodes become a negative spiral. We also have bipolar prodromes or a bipolar relapse signature – bipolar behavior that signals the onset of mania or depression. Is bipolar behavior always bad? Absolutely not!We are all aware of the link between bipolar disorder and creativity. Also, many of the most energetic and resourceful business-people and other leaders have had bipolar disorder. Most of all, here is a key take-away for you. PLEASE remember that bipolar behavior differs from the individual’s usual behavior. Someone with consistently, rather than episodic, bad behavior very likely does NOT have bipolar disorder. Understand the difference between who you or your loved one REALLY is and the transient, treatable behaviors of bipolar. My 36 year old daughter has lived with my husband and me since July 2016. Her two sons live with their father in another state. She is a doctorate level professional. Two days ago while her dad and i left the house she burned one if my antique tables in a bonfire outside. She said she didnt like the memories it gave her or the way it smelled. Two weeks ago she left on foot in 20 degree weather at night for a city hundreds of miles away to get to a job interview in New York city. She had 40 dollars in her pocket. She has no credit cards anymore because of multiple spending sprees. When her father and I went to find her she fought us and spit at me. Twice she has driven to a NYC airport and taken a flight to Italy by herself. She was hospitalized for 2 weeks last year. She lost her job, her marriage, two cars and almost her children. She never has admitted to being bipolar(her official dx). We cannot have her placed in any program unless she goes voluntarily. We have taken her to therapists, psychiatrists and to our county mental health services. Sometimes she takes her medications. When she does she is completely different and even her appearance changes. When she begins the manic phase we see changes in her looks, her dialogue becomes accusatory and her sleep wake cycles change. I go on survival mode when this happens. But it is affecting me and my marriage. We are retired and were hoping to enjoy these years travelling. But we are afraid to leave her alone in our home as she has already demonstrated a fondness for burning my furniture.